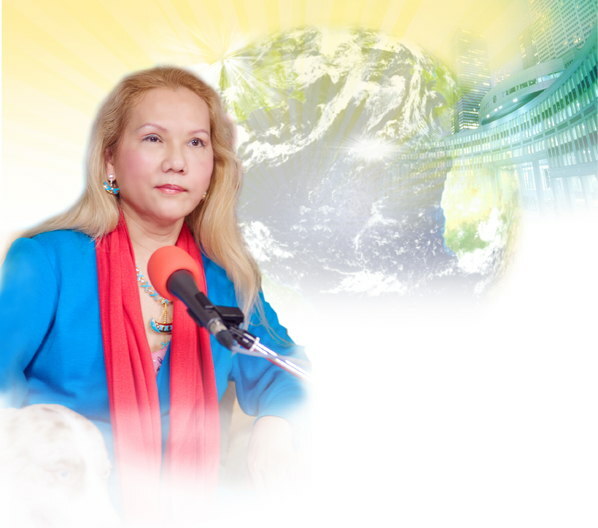 Video message from Supreme Master Ching Hai, "Leaders Preserving Our Future: Pace & Priorities on Climate Change"
Hallo. My highest salute and most respectful greeting, to the Divine within you: Your Excellencies, distinguished decision makers of the great United Kingdom, and welcome guests, courageous ladies and gentlemen. It is with deep honor that I join your respected company for this urgent meeting. As you are well aware, there are multiple global dangers facing all lives on Earth. Experts often highlight six major threats as the most pressing and urgent of our time, namely: climate change, water shortage, food scarcity, deforestation, ocean collapse, and biodiversity loss. Although each threat on its own might cause enough damage to become a so-called "civilization buster," their occurrence together would result in a global collapse, and all lives on the planet could be destroyed. Like many of you, I ask myself, day and night, how we can stop going in this calamitous direction. But I'm afraid the reality now is already too urgent. Scientists say that water security for about 80% of the world's people is threatened due to drying and polluted river systems, shrinking glaciers from South America to the Himalayas, and groundwater levels that fall lower and lower each year. In 2009, for the first time, the number of people suffering from hunger exceeded 1 billion, while disasters threatened the food security of many more. Each year, tropical forests the size of New York State are burned to the ground, releasing 17% of the world's total carbon dioxide emissions, more than all transportation combined. Over 70% of our fish species are fully depleted, and the rest could be gone within a few ten years. A recent study by the United Nations found that plants and animals are now disappearing at up to 1,000 times the natural background rate of extinction, with vital life-supporting ecosystems that could soon be irreversibly damaged. And you're right, we have global warming. 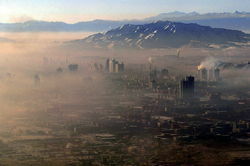 Even with strict greenhouse gas emission limits, the Earth's climate temperature is still expected to rise another 3.5 degrees Celsius within a few decades, which would result in the death of the Amazon rainforest, massive hurricanes smashing coastal cities, vast runaway release of methane from melting permafrost, and ultimately, mass extinctions. Already, we see that disasters have become more frequent, prolonged and deadlier. Thus, if these six factors are not stopped fast, we risk losing everything. I mean everything! So please consider what is really at stake now, what is really our foremost, urgent priority at the present time. It's not just political reputation or economy. It's the lives, real lives, of all inhabitants on Earth: humans, animals, plants, trees, etc. Now, despite the overwhelmingly frightening situation at hand, esteemed researchers have identified one key cause of all these troubles, and there's even a solution to solve them. 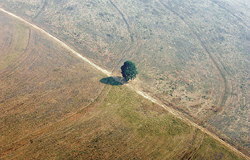 The United Nations Food and Agriculture Organization (FAO) in 2006 stated that: "The livestock sector emerges as one of the top two or three most significant contributors to the most serious environmental problems, at every scale from local to global," namely, biodiversity loss, deforestation, land degradation, pollution, climate change, overfishing, and others. So, it is not surprising that in June 2010, a report released by the United Nations Environment Programme and the European Commission concluded that a substantial reduction of [environmental] impacts would only be possible with a substantial worldwide change of diet, away from all animal products. Now, let's check out one "civilization buster" at a time, to see how each is driven by meat consumption. You may never look at a piece of meat in the same way again. Climate change is a civilization buster. And its primary cause is: livestock raising. I guess you know already. The UN FAO's 2006 report, "Livestock's Long Shadow," was followed by related research in 2009, which found that livestock animals and their byproducts account for at least 51% of human-caused greenhouse gas emissions. And I know that it is 80% or even more. Newer findings published by the US National Academy of Sciences and Germany's Potsdam Institute for Climate Impact Research also point to the livestock industry's huge impact on global warming. Furthermore, livestock production occupies a full 70% of all agricultural land and nearly one-third of all the planet's land surface. We have come to the point of climate scientists being now so extremely worried that they are even thinking of resorting to emergency ways to manipulate nature on a large scale through risky geoengineering. But if we simply return these lands to nature again, like forests and grassland, they would easily absorb a lot of emissions in the near future. Please also note that the animal industry is the largest human-made source of methane and nitrous oxide, the greenhouse gases that are 72 times and 300 times more potent, respectively, than CO2. And methane, though being much worse than carbon dioxide, disappears many times faster, in about 12 years as opposed to centuries for CO2. Therefore, eliminating livestock production would cool the planet quickly, which is needed urgently if we think about the climate tipping points that are getting nearer. Moreover, as the Rodale Institute in the USA determined, if the world's tillable land were organically cultivated, then 40% of the atmospheric CO2 would automatically be absorbed by the soil. Also, one German study found that consuming organic vegan fare could reduce dietary greenhouse gas emissions up to 94%. Wow! Think about that. Now, to briefly mention about financial cost. Dutch scientists have calculated that the powerful change to the healthy vegan diet would not only dramatically reduce global warming, it would also save 80% in climate mitigation costs by 2050. Besides being a major water polluter, livestock consumes vast amounts of this precious resource, with as much as 200,000 liters required for each kilogram of beef, whereas only a tiny fraction of that, or 2,000 liters, is needed per kilogram of soybeans, for example. Put another way, eating four hamburgers costs a person the water equivalent of a year's daily showers. Wow! Think of that again. And while 1.1 billion people don't have access to safe water, including 6,000 children who die every day from drinking polluted water (and that is on our conscience), some 1 trillion cubic meters of clean water is wasted on raising livestock. 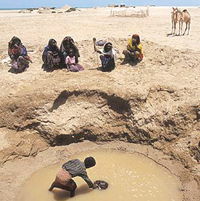 Are we really robbing our children of precious resource such as water for merely a poisonous disease-laden, disease-causing but easily replaced piece of meat? I'm sure you all agree, ladies and gentlemen, that this is not acceptable. To meet the needs of a growing population, more and more scientists and other experts are affirming the logic and efficiency of reducing livestock so that food can be delivered to people directly. Today's livestock are bred and fattened on nearly half of the world's grain supply, while almost 11 million children, most of whom live in those countries where these feed grains are grown, die, ironically, of hunger each year. On the other hand, directly supplied grain could easily feed more than the entire world's population. 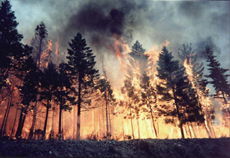 Lord Stern of Brentford, United Kingdom, lead author of the Stern Review on the Economics of Climate Change, proposed the avoidance of deforestation as the most economic method of managing greenhouse gas emissions. Well, 91% of the cleared Amazonian rainforest since 1970, the lungs of our Earth, can be directly or indirectly attributed to cattle raising. 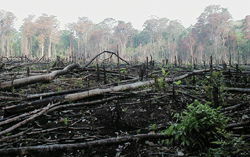 And, in fact, the UN FAO stated that the livestock sector is the major driver of global deforestation. The main cause here, again, is animal products. The United Nations recently reported that continued fishing could deplete the oceans of all marine life within just a few decades. But the problem is not only fish consumption. The problem is also meat consumption, because as much as 50% of the fish killed each year, or tens of millions of tons of marine lives, are fed to livestock, not humans. Pigs and chickens consume six times more seafood than the entire American population, and twice as much as the Japanese. Think about that! So if we stop all animal products – fish, egg, meat, and dairy – we will save the oceans, save the climate; and as we find out next, we could halt also biodiversity loss. 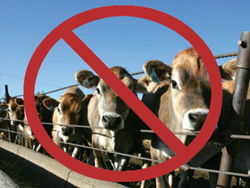 The livestock industry is the leading cause of an alarming decline in wild species. In an October 2010 study, Dutch researchers found that protecting natural areas is not sufficient to stop these fast extinctions of flora and fauna; rather, one of the most effective policies is changing to a no-animal diet, meaning plant-based food. Now, some of us might question: Can our world really eliminate the global meat industry and become all vegan? The facts tell us, "Yes, we can." And our humanity's survival instinct tells us we must. As the respected US economist Jeremy Rifkin wrote in 2002, "[The world's wealthier consumers] favor eating at the highest point on the global food chain while their fellow human beings starve. We are long overdue for a global discussion on how best to promote a diversified, high-protein vegan diet for the human race." Former US Vice President Al Gore and NASA Goddard Institute for Space Studies Director Dr. James Hansen, both referred to eliminating meat as the "single most effective thing" we can do so to reduce our carbon footprint. 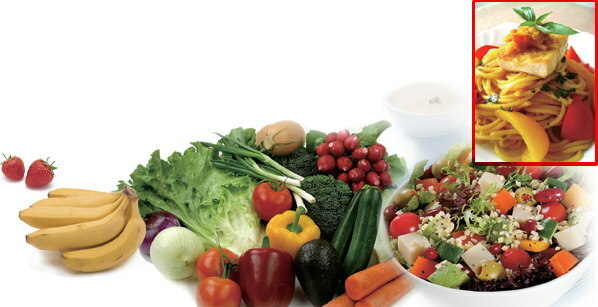 Climate chief Lord Stern likewise publicly stated that: "A vegetarian diet is better." Former World Bank advisor, Dr. Robert Goodland, called these "improved diets" the "overlooked climate solution." And Dr. Rajendra Pachauri, Chair of the United Nations Intergovernmental Panel on Climate Change, said: "A major shift toward plant-based diets is imperative if we are to have even a chance of preventing catastrophe. In terms of immediacy of action...reducing meat consumption clearly is the most attractive opportunity." Truly, these new opportunities for the food industry, consumers, and governments are bright. There are many stories of success from people who joined the vegan food industry, as well as farmers who switched from livestock raising to organic vegan farming. Research also tells us that plant-based alternatives to animal products are not only healthy, they use less fossil fuel energy, create more sustainable jobs, and are growing in popularity because of their quality, which also includes good taste. Analysts also say that meat and dairy prices are set to rise steeply due to high climate risks, "peak oil," and extreme environmental costs, while the livestock industry, which is heavily dependent on subsidies to survive already, is becoming obsolete. And we know that animal industry workers even suffer also some of the worst physical, emotional, psychological and mental conditions now. It's high time that we advance to better and nobler ways as a society. And governments could use their subsidies for people's greatest benefit, by supporting the Earth-saving, organic vegan farming practices and promoting a healthy, sustainable, resource-efficient food industry. The way we are going with our consumption rate, the World Wildlife Fund researchers have said that we'd need a second planet. If world governments stop supporting livestock and fishing, and instead wisely support organic vegan food production, they will save four-fifths of climate mitigation costs, save a lot of water pollution costs, and save health costs of about US$1 trillion due to meat-related diseases like cancer, heart disease, diabetes, obesity, food poisoning, etc., to name just a few. Now we can prevent more than 20 million meat-related deaths worldwide per year, if we turn to the vegan diet. No more suffering for loved ones, no more early separations, no more anguish for ourselves and others; and we will enjoy naturally longer, healthier, lovelier and happier lives. Even without the "civilization busters" threatening our planet's survival, an organic vegan diet would immensely improve the quality of our lives, spiritually also. It can curb the water and food crises and restore nature's life-support systems. It also happens to be the most rapid, cost-effective, and the only feasible climate solution, one that every nation can easily implement. In sum, only with the organic vegan solution can we still save our planet. Respected and honorable ladies and gentlemen, I beseech you and all the leaders to please, help our world, please save our planet. I would like very much to not lose my hope, and everyone else's hope, because humans are caring, are clever, are courageous, and are the children of God. I can only add my heartfelt prayers to yours, that together we will do everything possible and truly effective to save our planet for our children's sake. Thank you so much for your trust and attentive spirit. Wishing you forever wise, loving and blessed by the Divine. Love, love.